The Type D is notable in two respects. 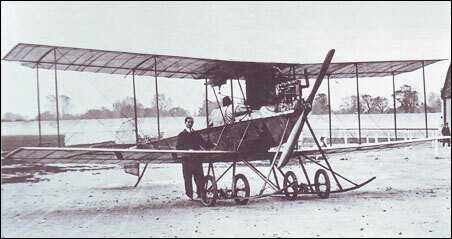 First, the prototype was at one point fitted with floats to make the first British take-off from water (on 18 November 1911). Secondly, it was a biplane rather than A.V. Roe's previous triplane wing designs. It is believed that six examples of the Type D, with its triangular shape fuselage, were manufactured. They were all different, including one example with a 60hp engine that was intended to compete in the Daily Mail Air Race, but suffered a prior accident. 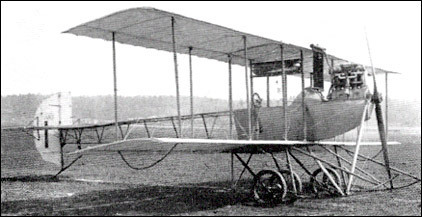 The Avro Type D was the company's first successful and (semi) production standard design. Avro went on to design the Lancaster bomber. Mike Brainerd, I am also on the hunt for drawings and photos for tbis plane and I have the same idea for a 1/3 scale. Have you had any success? �In writing of the past I do not like to say that I designed this or that aeroplane, for even if a machine is of one�s own conception, yet there must necessarily be others who played an important part in its final details and construction. Pioneers in any line are sure to have assistants who think they have done the deed themselves, and perhaps the following may indicate this trait. I am trying to obtain drawings of this aircraft so than I can produce a Radio Control version. Could you direct me to a source? This aircraft is designed by my great grand father s.v.Setty. i have details of it.